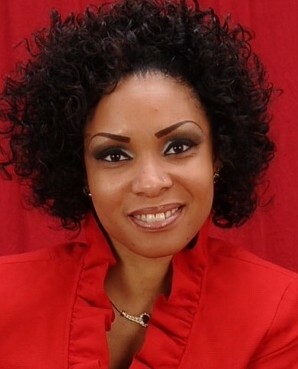 Dr. Jiajoyce Conway founded Changing From The Inside Out, LLC in York, Pennsylvania in June, 2012. She is committed to a life that is not just consumed by her own personal success, but one that breeds impact and significance in the lives of others. She promotes professional, personal & spiritual development based on the Gospel of Jesus Christ through her life coaching programs. She is empowers women to not only change from the inside out, but to tap into their God ordained gifts & talents to achieve success. Dr. Conway's mission is to impact women globally who are seeking change in their lives, so they may be encouraged, esteemed, and empowered to live and be who God created them to be. Deliverance, restoration, and transformation are the heart of her ministry. She offers life-changing services that exemplifies her mantra, "Purpose to Change, Change on Purpose!" Change comes when we decide that we will embrace our worth as daughters of the most high! Our founder, Minister, Dr. Jiajoyce Conway, lives with her husband of 19 years and four beautiful children in York, Pennsylvania. Aside from being a devoted wife and mother, she's also a Board Certified Life Coach, published best-selling author, educator, mentor, entrepreneur, and an Oncology clinical advanced nurse practitioner for over 10-years now, she is a Licensed Evangelist. She completed her Masters of Theology with an emphasis in Women's Studies at Liberty University. Of all her achievements, none could be more remarkable than her being a survivor. She's currently the CEO of Changed From the Inside Out Ministries, LLC. A devoted ambassador of Christ, Minister Jiajoyce, our founder, is a Licensed Evangelist who has served in other ministries such as Hospitality Ministry, Committee on Marriage and Family Ministry, and Prayer Facilitator or Discipleship Ministry. She is currently the Director of the Women's Ministry (Daughters of Prophetic Destiny) and has been for over the past five years at Set The Captives Free Outreach Center. Her debut book, "Changed From the Inside Out," was released in November 2013. At 9 years old, Jiajoyce gave her life to the Lord Jesus Christ. She rededicated her life back to the Lord Jesus Christ at the age of 26. Since then, she has committed herself to experiencing the grace, mercy, restoration and love of God in every aspect of her life. In 2007, she completed her certification in the Leaders in the Training Experience Course at Set the Captives Free Outreach Center™, where she has served as a faithful servant and member for over 10 years. In April 2013, she was ordained as a Deaconess, and on December 31, 2015, she was ordained as a licensed minister both performed by Pastors Linwood and Apostle, Dr. Karen Bethea, who are her Pastoral covering. Dr. Jiajoyce thrives on Survivorship Empowerment. She's a servant of the Kingdom of God and a student of the Word who co-founded "Greater Beginnings," a female mentoring program based in York, Pennsylvania. Her call to serve women is one of passion, compassion, love and desire for women to excel and survive beyond adversity. She is committed to the healthy and wholistic empowerment of women globally. She thrives on Survivorship Empowerment and a wholistic approach to survival- mind, body and soul. “Changed From the Inside Out,” evolved out of a life that was consumed and only knew the pain of past abuse and loss, to a life of a woman that gave God a chance at restoration and wholeness, despite her own brokenness. She is a woman after God’s heart that is committed to building a community of women that desire nothing more than to be empowered to survive and thrive, and be EVERYTHING God says that they are. Aside from serving the church, she volunteers to help local survivorship groups such as Breast Cancer and Hematological Cancers. She also speaks publicly for organizations such as the Leukemia and Lymphoma Society(TM), Oncology Nursing Society Local Chapter(TM), and other organizations for women. That aside, Dr. Jiajoyce is a member of the Editorial Advisory Board for the Oncology Nurse Advisor and Lippincott Publishers. Our founder and CEO completed her formal education, Bachelors and Masters of Nursing, from Coppin State University™ in Baltimore, Maryland. She finished her doctoral preparation at Chatham University™ in Pittsburgh. She received her Christian Life Coaching training through Light University an affiliate of Liberty University, and is Board Certified Advanced Christian Life Coach through the International Board of Christian Care.